The iPad is out! Let the experience revolution begin. Although not yet available in all countries, the iPad has allowed major publishers, companies and other organizations to rethink how they can reach their customers in new ways. For all you design junkies, enthusiasts, intellectuals or geeks (I would be the latter one), Phaidon has launched a new application which compiles 1,000 selections of the most highly coveted to the most practical products since the Industrial Revolution. This groundbreaking application is available through the Apple Store at a special price of $19.99. The application contains an extensive resource of information organized chronologically, gives users a unique experience of archival photographs, original sketches, patents, prototypes and informative text with precise information about the products, designer, manufacturer and its historical context. Phaidon has created an experiential design encyclopedia worth having. 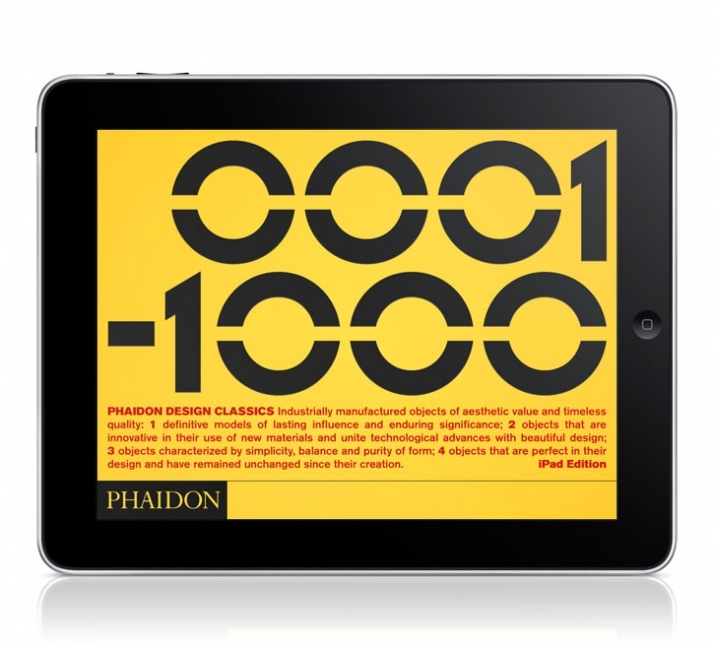 Phaidon has provided us with our personal resource library of product design from he last two hundred years of history. From designers like: Marcel Breuer, Achille Castiglioni, Le Corbusier, Jasper Morrison, Dieter Rams, Eero Saarinen, Philippe Starck and many more named and anonymous contributors from the history of product design. Presented in a richly interactive and beautifully rendered environment, the application takes advantage of the iPad's features to further engage with the user. Browse through the works chronologically through the right side of the screen and enjoy being part of history as well. High resolution images in a beautiful layout keeps us connected for hours as we discover more about the pieces. The original book 3 volume set now in one application with an immersive experience. It doesn't get better than that!